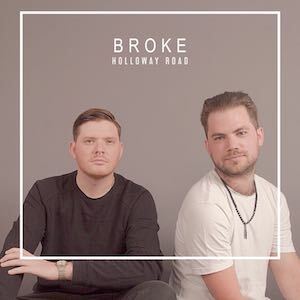 Holloway Road have announced their third EP Broke, which is due for release on Sept 14th 2018, and shared the first single ‘Hang Over Here‘, available to stream today and to download immediately for fans who pre-order the EP. The duo are celebrating the announcement tomorrow (Sat Aug 25th) with their highest gig to date at The Shard, the tallest building in London as part of their Summer Sessions series; before wrapping up a busy festival season at The Long Road in a few weeks, alongside artists like Carrie Underwood, The Shires and Charlie Worsham. Describing Broke in their own words, Jack & Rob said: “We took our time with this EP. It shows how much we have matured as writers and artists, and it was also special being able to spend time in both the UK and the USA to work with other writers that we admire and call friends to put together another record that we could be proud of. Holloway Road – Jack Cooper & Rob Gulston – are a country-pop duo from Essex, England, leading the way for the genre on the UK circuit; having enjoyed extensive radio support and national press coverage, more streams than any other independent UK country act, and opening for likes of The Shires, Lindsay Ell, American Young and more as well as numerous major festival appearances including Country to Country and the first Country Music Week in London in 2017. Coverage to date has included Vice, Country Music Magazine and The Daily Mail (“an impressive set for a huge mob of fans…”), and with growing support from fans worldwide, success in a growing international country scene is increasingly becoming part of the Holloway Road story. Late last year the band completed their first full band UK headline tour, documented in the video for recent single ‘Under Cover’, and within the last few months returned to Nashville to write for their forthcoming third EP Broke, which is available to pre-order / pre-save now and will be released on Sept 14th 2018.